Trail Lake Lodge features two incredible all-inclusive adventures for your Alaska getaway. The five and seven-day trips include lodging, three meals per day, along with all the Alaska activities you could ever dream up. 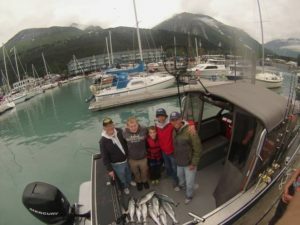 Enjoy a tour of the Kenai Fjords area, a charter fishing trip for halibut, or a float trip for salmon and trout fishing. Whitewater rafting, sea kayaking, horseback riding and much more are available to make your retreat one to remember!